They are territorial and make good watchdogs. 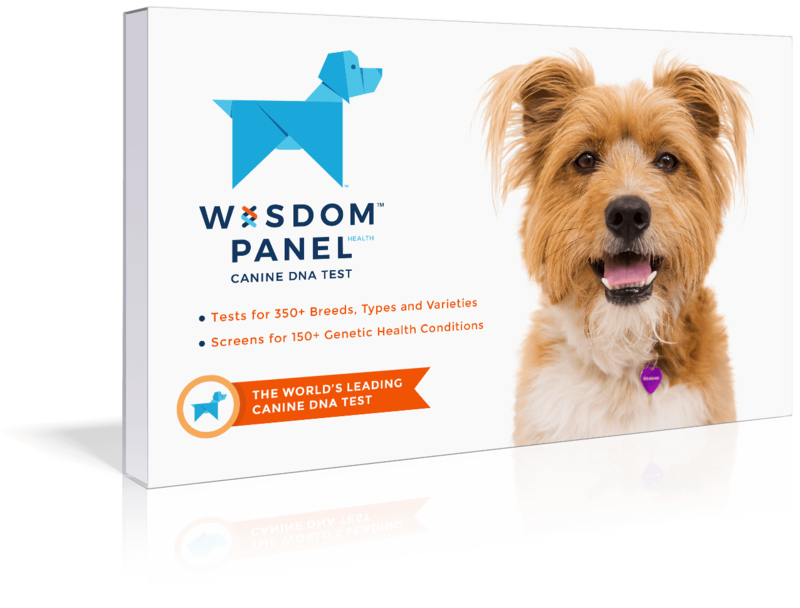 They require socialization and obedience training to avoid any negative behavior. 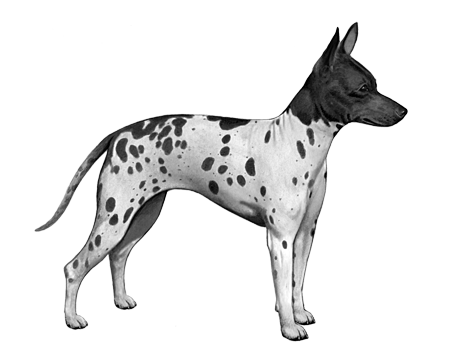 They are a lively, feisty breed, typical of terriers in general. They need daily physical and mental activity and train easily. Intelligent, loving, loyal, alert, playful dogs. 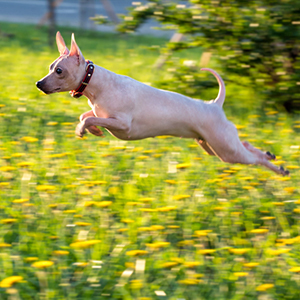 The first American Hairless Rat Terrier popped out of nowhere in 1972. Or, more accurately, out of a litter of otherwise hairy siblings. 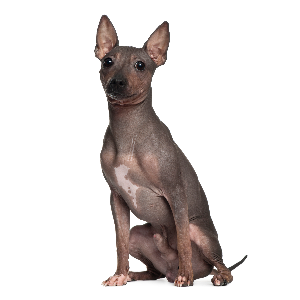 This rare pup, a female, gave birth to more hairless offspring – and the rest is history. 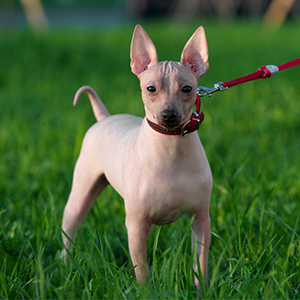 Intelligent and very playful, what they lack in hair they more than make up for in loving and loyal natures.